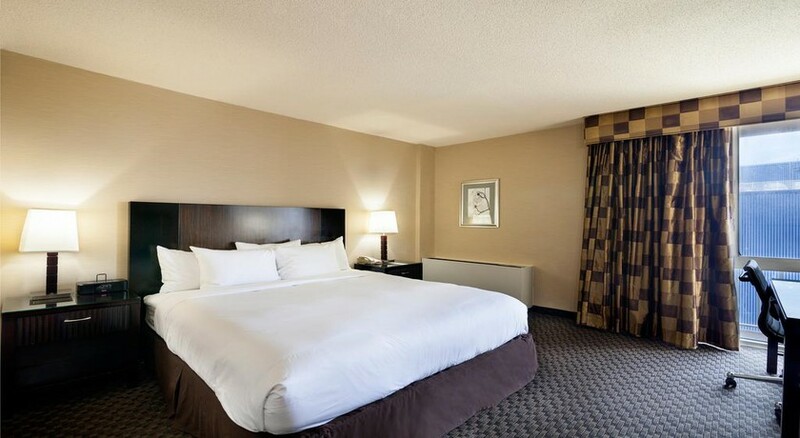 Radisson Hotel JFK Airport is located opposite the John F Kennedy International Airport, America’s fifth-busiest is the ideal stopover for guests in New York. 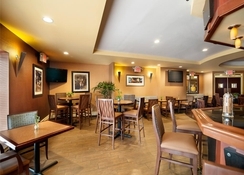 The hotel provides a complimentary shuttle services to and from its premises, and offers excellent connectivity to other city attractions such as One World Trade Centre and the Statue of Liberty. The hotel offers 385 comfortable rooms or suites for guests travelling for business, leisure or layover to relax, with free Wi-Fi connectivity and a fitness centre to work out. They can also take a sauna bath, or dine in at the in-house restaurant. Explore the Big Apple with ease with the hotel’s car rental service, valet parking and tour desk. There is a 24-hour business centre to plan your local tours. Situated about five minutes from the JFK airport and less than 24km southeast of Midtown Manhattan, the Radisson is situated a convenient location. 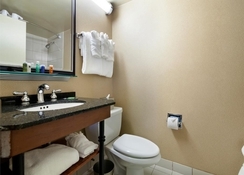 The hotel is 1.5km from the terminals of John F. Kennedy International Airport. The Distance to JFK Air Train is 2.5km and there is excellent connectivity to all other parts of the city. The Resorts World Casino is 4.1km and the Howard Beach – JFK Airport Station is 5km. 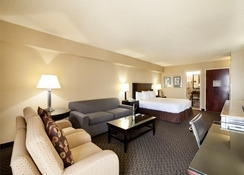 The hotel offers 385 comfortable guestrooms. All the rooms have flat-screen cable TV and desk. Suites also has a refrigerator and there are free toiletries in the en suite bathroom. There’s free Wi-Fi and coffee/tea makers in the rooms. Satisfy your big appetite in the Big Apple when you stop by Connections, the on-site restaurant and lounge. Enjoy the casual setting and munch on tasty American cuisine for breakfast, lunch or dinner. The lounge is the perfect place to take advantage of happy hour specials before dinner or share late-night beers and cocktails with colleagues. The hotel has a terrace and sauna where guests could relax. There is a fitness centre for those who wish to stay active during their stay. The hotel has facilities for playing a game of snooker. 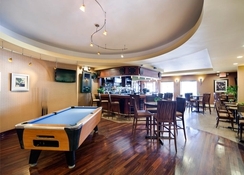 There is a shared lounge TV area and important sports events are telecast live. There is a bar where guests could relax with a drink.